This two-part volume presents the Collection’s more than 500 examples of Islamic lacquer – predominantly papier-mâché wares with painted and varnished decoration – which is probably the largest holding of its kind in any single collection. The most characteristic forms are the bookbinding, the pen box, the casket and the mirror case, but the Collection contains examples of other forms, such as spectacle cases, fans, and a splendid backgammon table. 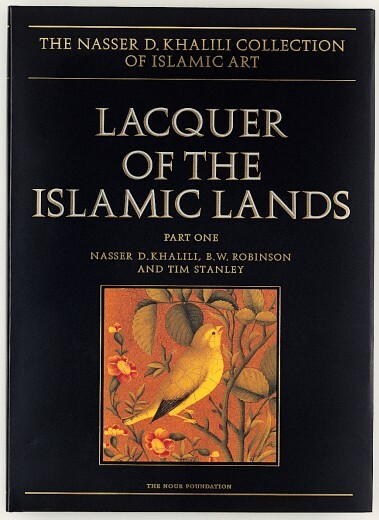 The material published in Part One offers an opportunity to follow the history of Islamic lacquer from the late 15th century onwards, in centres as far apart as Istanbul and the Muslim courts of India. At the same time, the development of the decoration, from the Chinese-influenced ornament of the early years to the Europeanizing styles of the 19th century, can be traced. 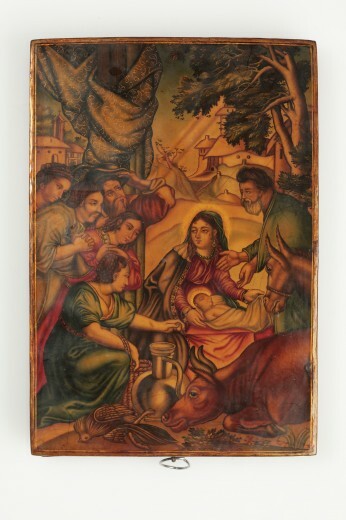 The Collection contains works by almost every known lacquer painter, including Muhammad Zaman, ‘Ali Ashraf, Muhammad Sadiq, Abu Talib al-Mudarris and Lutf ‘Ali Khan Shirazi, as well as masters celebrated for work in other media, such as Mu‘in Musavvir and Ahmad Nayrizi, and those who are previously unrecorded, such as Muhammad Amin. 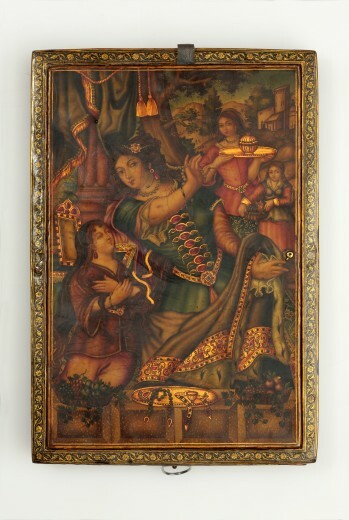 Part Two concentrates on the period with which Islamic lacquer is most often associated – Iran in the Qajar period (1779–1924). A large section of the volume is devoted to the work of the two most important workshops in Isfahan in the mid-19th century – the first is that of Najaf ‘Ali and his associates, the other that of the Imami family. Further sections cover the growth of European influence on the iconography and style of Iranian lacquer in the second half of the 19th century and, in particular, Russian lacquer made for export to Iran and its Iranian imitators. The last section is a ground-breaking study of the seals of the pen box makers.